This built up unit provides overload protection for your 230 volt mains powered booster pump, It has a built in power supply to feed a float switch and in turn feed a solenoid valve to both shut of power to the pump and water into the system. A selector switch is fitted to allow the unit to be used as a simple auto shut off, if it was desired to run the unit without the booster pump. 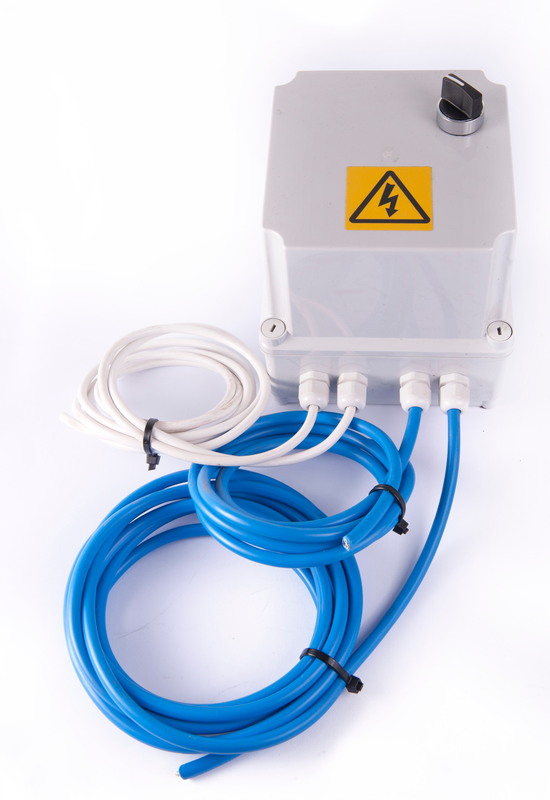 The unit is pre built with 4 cables ready to be connected up to a 13 amp power supply, the pump, a 12 volt solienod valve and a float switch, a wiring diagram is available.